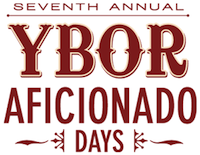 Celebrate cigar heritage at this weekend’s seventh annual Ybor Aficionado Days! Sample delicious food from some of Ybor’s finest restaurants on Saturday’s Tapas Trail from 4 p.m. - 7 p.m. while strolling the brick streets of our Historic Latin Quarter. Participating restaurants include Carmine’s, Columbia Restaurant, The Bricks Ybor, Carne ChopHouse, and many more! Finish off your day at the After Party & Smoker at the Italian Club from 6:30 p.m. - 9 p.m. and enjoy music, desserts, café con leche, and sample wine, rum, and beer. The “#1 Tapas on the Trail” will also be announced, so be sure to cast your vote! Have a relaxing Sunday with a traditional Spanish brunch at Columbia Restaurant at 11:30 a.m. with live music by the Les Sabler Trio. Also see the Tapas Cooking Challenge judged by local celebrities and culinary stars. Tickets can be purchased online at ybor.org or through the Ybor City Chamber Visitor Information Center at 813-241-838. Stay tuned for more fun things to do in Tampa Bay!